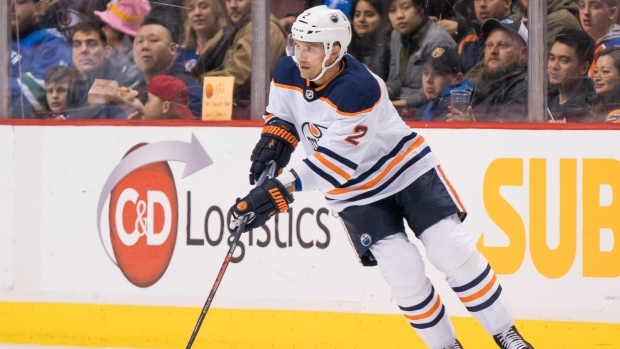 The Edmonton Oilers have recalled defenceman Andrej Sekera from his conditioning stint with the AHL's Bakersfield Condors. Sekera has yet to suit up for the Oilers this season since tearing an Achilles tendon during the off-season. He had two assists in five games during his AHL stint. He returns to the team but remains on LTIR so a roster move doesn't need to be made until they activate him. The Oilers next play on Tuesday against the Arizona Coyotes. He signed with the Oilers on July 1, 2015 to a six-year, $33 million contract. In 197 games with the team, he has 73 points (14 goals, 59 assists). In other recent moves, the Oilers traded goaltender Cam Talbot to the Philadelphia Flyers for Anthony Stolarz, and acquired Sam Gagner from the Vancouver Canucks in exchange for Ryan Spooner.